Man leads Indian River Sheriff's deputies on chase from Target in Vero Beach. VERO BEACH – The Indian River County Sheriff’s Office received a call about a shoplifter from the Vero Beach Target. 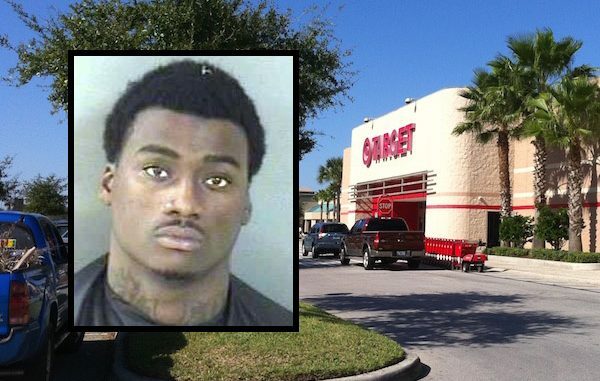 The suspect, later identified as 21-year-old Javarious Daquion Hargrove, walked out of the Vero Beach store with a $29 FM radio. Hargrove then ran with a female to the Wells Fargo bank and drove away in a dark gray Nissan Altima. A deputy spotted the vehicle leaving the Mall entrance on SR 60. Hargrove accelerated and ran a red light at speeds up to 80 mph in a 45 mph zone. The deputy lost sight of the vehicle as it drove west on SR 60. Motorists told deputies that the vehicle was driving recklessly. A short time later, another deputy spotted the vehicle at the Dairy Queen near the I-95 Fellsmere exit where they detained Hargrove. Hargrove told deputies that he was at the Target store in Vero Beach and noticed he was being watched by loss prevention. He stated he got mad, so he opened the package and took the radio. The suspect was also driving on a suspended license. Hargrove was arrested and transported to the Indian River County Jail where he was charged with Felony Flee & Elude, Retail Theft, Driving on a Suspended License, and Resist Merchant. Bond is set at $53,000.